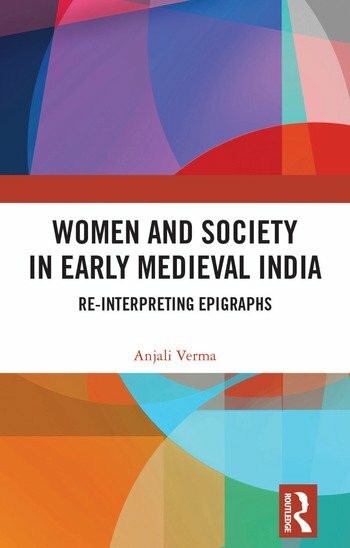 This book examines women and society in India during 600–1200 CE through epigraphs. It offers an analysis of inscriptional data at the pan-India level to explore key themes, including early marriage, deprivation of girls from education, property rights, widowhood and satī, as well as women in administration and positions of power. The volume also traces gender roles and agency across religions such as Hinduism and Jainism, the major religions of the times, and sheds light on a range of political, social, economic and religious dimensions. A panoramic critique of contradictions and conformity between inscriptional and literary sources, including pieces of archaeological evidence against traditional views on patriarchal stereotypes, as also regional parities and disparities, the book presents an original understanding of women’s status in early medieval South Asian society. Rich in archival material, this book will be useful to scholars and researchers of ancient and medieval Indian history, social history, archaeology, epigraphy, sociology, cultural studies, gender studies and South Asian studies. Anjali Verma is Assistant Professor, Department of History, Himachal Pradesh University, Shimla, India. She completed her PhD from Himachal Pradesh University, Shimla and has taught at several colleges under Delhi University, Panjab University, Guru Nanak Dev University, Himachal Pradesh University and Amity University, Haryana. She specializes in ancient Indian history, culture and archaeology.